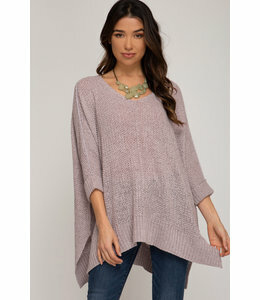 A loose-fit sweater with a curved high-low hem and cuffed 3/4-length sleeves. A grey burnout top with short sleeves and a notched neckline. A loose-fit knit tee with an open, criss-cross detailed back. 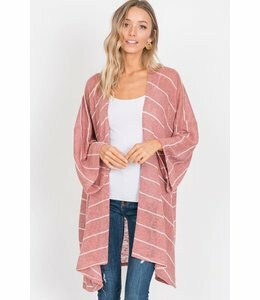 A beachy knit cardigan in a striped, open-front design. 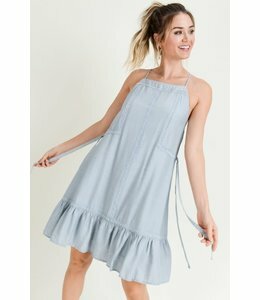 A short shift dress with an apron-style top, a ruffle hem, and lacy detailing. A high-necked bralette featuring a sheer lacy front panel. 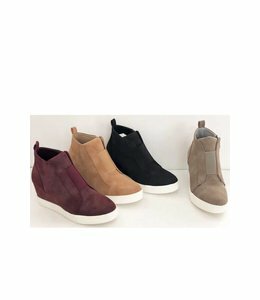 Work out in style with these comfy leggings complete with functional pockets on the side. 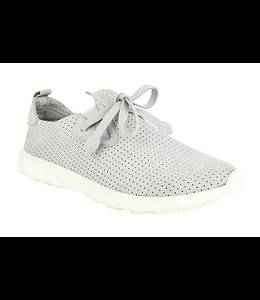 Slide-on sneakers with a tie detail and a perforated design. 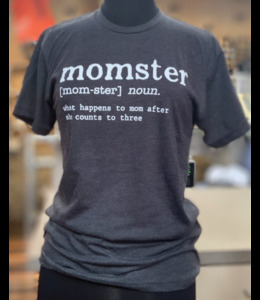 A charcoal grey T-shirt featuring a humorous dictionary definition of the term "momster." 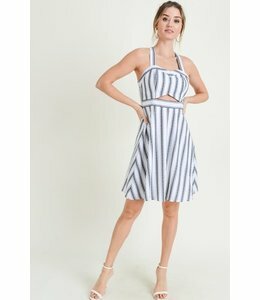 A long, flowy top with raw edges and an open, weaved back. 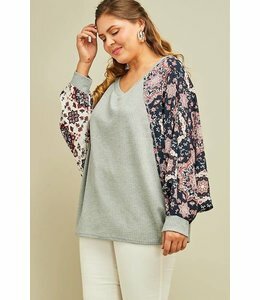 A waffle knit top with loose printed sleeves. 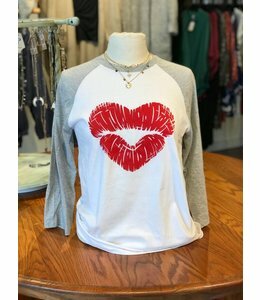 A baseball tee with a heart-shaped lipstick stain design printed design on the front. 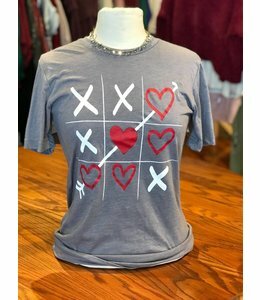 A grey T-shirt featuring a cute tic-tac-toe design with a Valentine's Day twist. 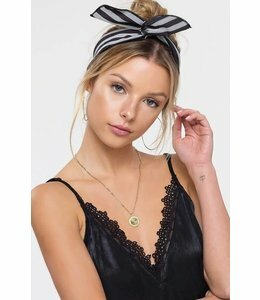 A wired tie headband in a grey/black striped design. Washed grey mid-rise skinny jeans with distressed detailing. A simple grey blazer with pin tuck detailing. 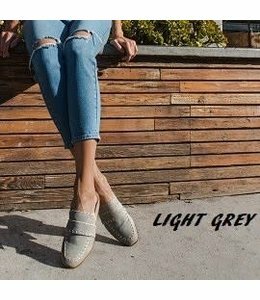 Light grey loafers in a slide-on design. Strappy, light grey high heels. 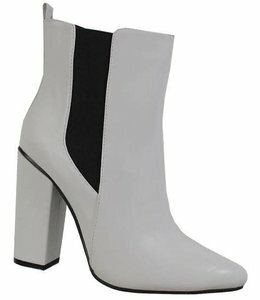 Light grey, Chelsea-style booties with high heels and a pointed toe. 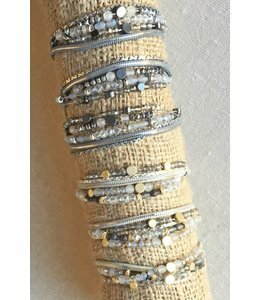 Beaded bracelets with magnetic closure. 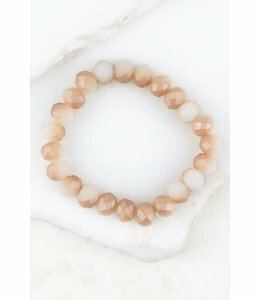 Colored crystal bead stretchable bracelet with a textured gold charm.